We had a terrific month as the recipient of the Hannaford Cause Bag Program! Thank you all so much for your support during this great opportunity. During the month of May, the Hannaford store in Ossipee, NH sold 29 BAGS which means we will be receiving a check for $29.00! These funds will help us with library expenses. Thank you again to everyone who supported us through the purchase of the Hannaford Helps reusable bag! 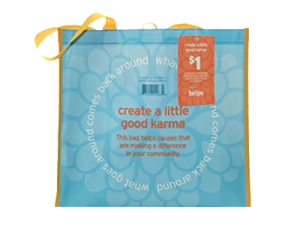 For more information about the program visit www.hannaford.bags4mycause.com.